The former governor and businessman gave the remarks at the Cathedral of St. Andrews Peter, Aremo, Ibadan, Oyo State, where he paid his last respect to an illustrious son of Ibadan, Chief James Oladosu Babatunde, who was buried by his sons among them: Jide and Niyi. 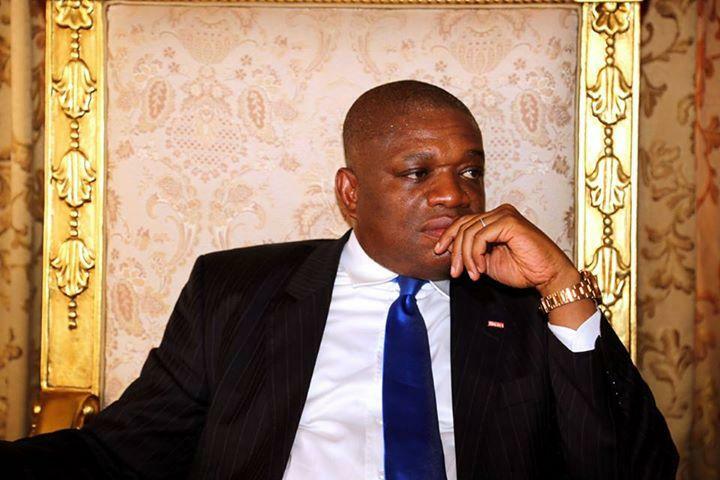 Kalu, who did not hide his interest to contest senatorial seat in 2019,saidd that Buhari had been trying his best to re position and repair the battered image of the country, but that many Nigerians don’t obey the rules and always flout due process. He said: “We are heading to the Promise Land. Buhari is leading us to the promise land. There are two types of ingredients and components that make democratic process. They are the hardware and the software. The hardware is what you see, like building of roads. “The software is obedience to rule of law, accessibility to people’s mind, obeying court order, making sure that courts of competent jurisdiction’s orders are obeyed, and making sure that everything done in the law is totally agreeable. “Our problem in Nigeria is very simple. People are not obeying traffic lights. Big people don’t want to obey a simple rule, like: do not cross this line. This is the problem the country has. This is what Buhari is saying, that no, you cannot do without process. “Buhari is trying to put it across to the Nigerian people, by saying yes I might be slow, but we have to go through due process which is internationally acceptable. So, we are on course. On the issue of restructuring being agitated for by some ethnic nationalities in the country, particularly the Independent People Of Biafra (IPOB) being championed by Nnamani Kanu, Kalu said: “Restructuring is what comes gradually. Everybody is shouting and every time, they try to put one local language to us. Let them stop saying restructuring. Let them say we need fiscal federalism. Kalu said: “If you are saying restructuring, people will term it that you want the country to be divided. You want the local government to be this, you want this and that. What we are saying is very simple. If you go on the right path of the constitution, you’ll see a lot of things about 63 or 61 of them. “Take some of those things and put on the left side of the constitution where you have nothing on. What we are saying is that the duties of the Federal Government are so much. How can the federal government be talking about education, road, agriculture? “They should get away all those things out of their body, like management of the Ibadan/Lagos Expressway should be shared among the three states, Lagos, Ogun and Oyo. You go to another Expressway like Benin/Lagos Expressway and be shared among Edo, Ondo, Ogun and whoever is there. So, with this things where we are going through bad roads, will be a thing of the past.